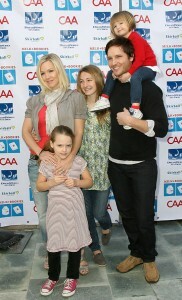 Yesterday Milk + Bookies Hosted their First Annual Story Time Celebration in Los Angeles. 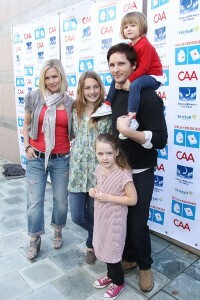 Jennie Garth, her husband Peter Facinelli and their daughters Luca, Lola, and Fiona, were among the many celebrities that turned out to support the charitable organization. During Milk + Bookies, children are encouraged to “Do The Giving.” At the Skirball Cultural Center, a giant “Bookstore” will be established on-site where families can select books, inscribe them with personal messages, and donate them back using Milk + Bookies to distribute these books to local school children that do not have access to books of their own. The charitable organization is dedicated to empowering teen and college students nationwide to earn community service hours while learning to become leaders in peer-based philanthropy. Visit www.milkandbookies.org for more info.